It's Not Too Early to Think Holiday Cards! Though it’s barely even October it’s not too early to think about the upcoming Holiday Season! 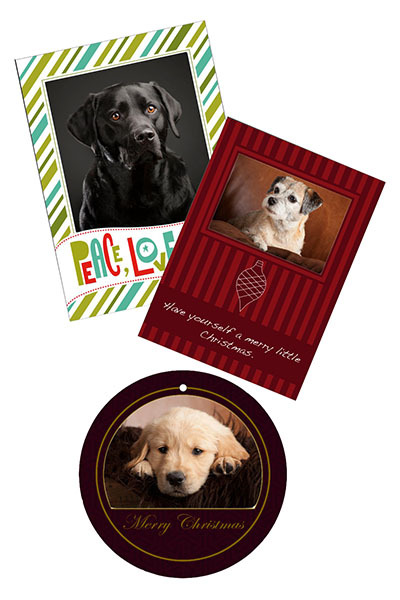 Springs Pet Portraits offers special Christmas card sessions during the month of October. From October 5-31 we offer mini sessions for you and your pet or just your pet for your holiday cards. For just $75 you can have a mini session plus a set of 12 holiday cards (with envelopes) OR 2 holiday ornaments. Additional cards or ornaments are available at a reduced rate. Mind you these are not your ordinary run of the mill holiday cards which are usually a cheap strip of photo paper with a cutest greeting and photo on one side.